Floral shoes are usually cloying. They bring back memories of the first day of school in 1993 and can make a grown woman seem both mature and immature at the same time. The newest drop from the Keds x Rifle Paper Co. collaboration tows the line of sweet and edgy, feminine and masculine. The Tournament Lively Floral sneaker features a wash of stylized floral-patterned canvas, offset by white leather. It’s retro and sporty with only a salt shake of kitsch. 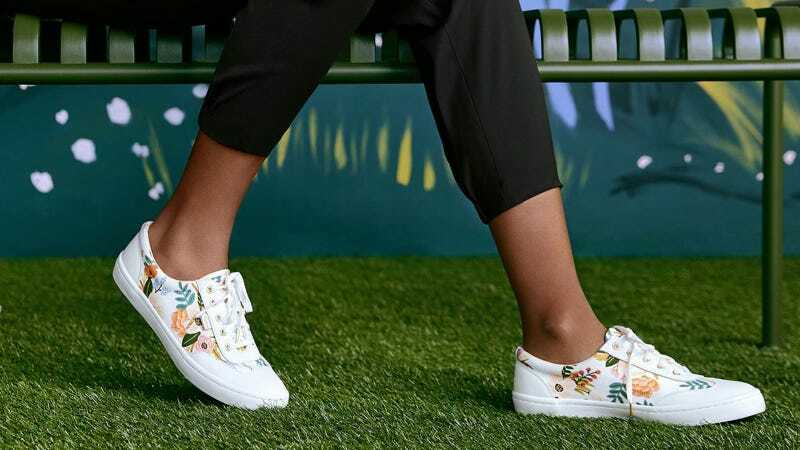 Unlike the other Keds x Rifle Paper Co. styles, the Tournament puts sneaker style first, floral pattern second. It basically becomes a neutral in its own rite. At $80, the price is more than what you’d pay for a typical pair of Keds, but you’re paying for premium leather and premium quality pattern-work. 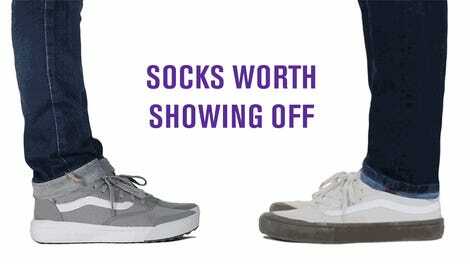 It’s a statement shoe that merely stands its ground, rather than shouting to make itself known.